The leviathan rears from the deep green sea on Page 6 of Serpents in the Water. Time to adjourn the meeting, Admiral. 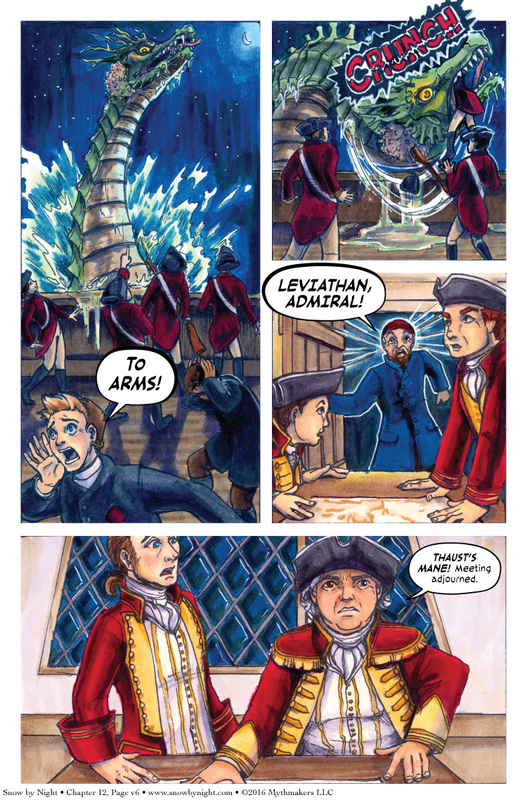 Please vote for Snow by Night on Top Web Comics to see more awesome sea serpent action by Cindy Mirable. 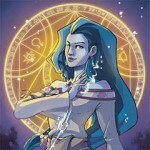 In case you missed the update on the Volume 2 Kickstarter, I have the translations for Volume 2 from Nic. I’m going to be lettering in French for the next couple of weeks. So expect those files by the end of the month. 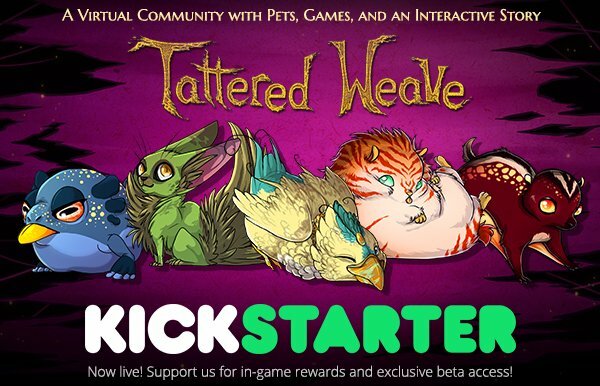 And speaking of Kickstarter, the campaign for the Tattered Weave is live! It’s a virtual community with games, collectibles, creature companions, and an interactive story that lets you decide the fate of the world. Check out the animation in the Kickstarter video. I wonder if that guy was tasty? We should have expected this because they’re all wearing red shirts. I feel silly for admitting it, but that comment actually made me laugh out loud! On a side note, loving the old-school marker illustrations for this vignette – beautiful and evocative (of, you know, terrible sea monsters)! *Groans* Oh wow. Just… oh, wow. I’ll let Cindy know you like her marker illustrations. The only downside is that there’s no changing things once the page is done. But man, is it evocative.